LONDON (Reuters) - The United Kingdom is confident that it is on the verge of reaching an agreement with the European Union to give London's vast financial centre access to EU markets after Brexit, Britain's financial services minister John Glen said on Monday. Home to the world’s highest number of banks and largest commercial insurance market, the City of London and its sister district in Canary Wharf are scrambling to prepare for Britain’s departure from the European Union, the biggest challenge the UK financial sector has faced since the 2007-2009 financial crisis. 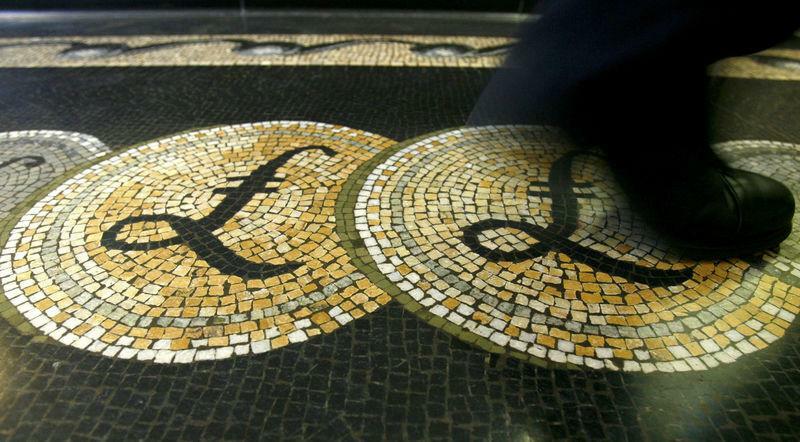 Britain's financial services sector, the biggest source of its exports and tax revenue, has been struggling to find a way to preserve the existing flow of trading after it leaves the EU. The government is looking for an improved form of the EU's existing system of financial market access known as 'equivalence' - a basic form of market access dependent on rules being kept broadly similar and the basis for the EU's relationship with countries such as the United States. "I am extremely confident we will reach an imminent deal," Glen told a financial services conference in London. "There is common ground. That is why we are increasingly positive on the expectation of reaching a deal." Talks over a broader deal are mired in a disagreement over an Irish "backstop" - an insurance policy to ensure there will be no return to a hard border on the island of Ireland if a future trading relationship is not in place in time. But negotiators are close to agreeing wording on financial services that would go into a declaration on future relations, which be included alongside any divorce deal, according to British officials. Glen said EU politicians are increasingly worried about being cut off from Britain's financial markets because all the other financial centres in Europe are smaller in size. "Severing connections to our financial centre is not in the commercial interests of any other European capital. It's fair to say the overwhelming majority of European politicians share the same view," he said. Glen also told the City & Financial conference said that dire warnings on hundreds of thousands of jobs leaving the City as banks and insurers open new hubs in the bloc ahead of Brexit next March have not materialised. "The job losses have not been at the apocalyptic proportions predicted by scaremongerers," Glen said. James Bardrick, who heads Citigroup's UK operation, said he will continue planning for a hard Brexit until Britain agrees a deal. "We have largely done that. We have the arrangements in place that would allow us to continue serving our customers," Bardrick told the conference. Britain has done all that it can to avoid disruption to financial markets if there is a no-deal Brexit next March, Nausicaa Delfas, the executive director responsible for international issues at Britain's Financial Conduct Authority, told Reuters on the sidelines of the conference. While the EU has signalled it could take action to avoid disruption in derivatives clearing, the bloc needed to do more in case of no-deal Brexit, such as ensuring financial data could continue to flow across the Channel, she said. She wants a memorandum of understanding between UK and EU regulators in place "as soon as possible" so that asset managers in London and Edinburgh can continue to operate funds listed in the bloc, a cross-border regime known globally as delegation. "To the asset managers in the room, I want to reassure you that the burning issue of portfolio delegation will be resolved," Glen added. Financial services no-deal Brexit plans drawn up by the bloc show a reluctance to deal with other areas of potential disruption, such as continuity in insurance contracts and privately-traded swaps agreements. Delfas said it was up to the EU what measures it could take, but that national regulators in member states could take action themselves to avoid disruption in contracts like insurance policies. Stephen Jones, head of Britain’s banking lobby UK Finance said he was "sceptical" about a financial services deal, saying the actual framework would hinge on broader EU-UK trade negotiations that have yet to start in earnest.